People know that dogs enjoy playing fetch, but most never think about elephants enjoying the same game. 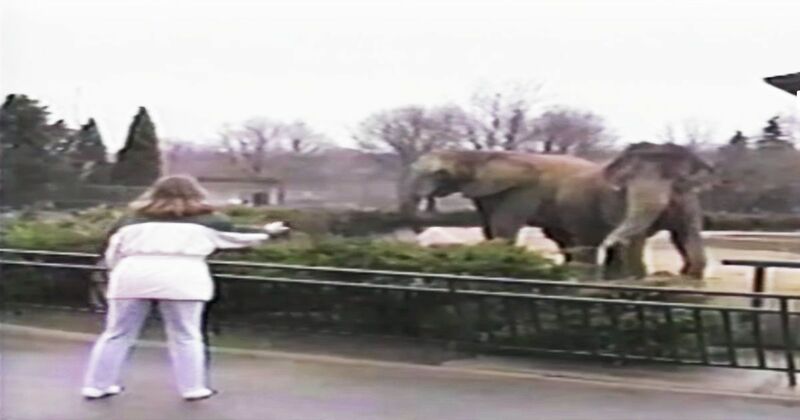 A tourist was caught on a video, which was posted to YouTube in 2013, tossing a rock into an elephant's pen. The elephant proceeds to retrieve the rock and toss it back to her. This goes on for two minutes before the elephant finally walks away. Fetch may be a new form of entertainment on the elephant's list. According to Pets on Mom.me, elephants enjoy playing, or "wrestling," in water and rolling around in mud. Part of their love for water comes from a need to cool themselves down, but some appears to come from messing around with one another. If elephants are given large balls to play with, they enjoy playing "elephant soccer" with the ball and their trunks. Besides enjoying fun and games, elephants also appear to have great affection for one another. Happy Elephant shares how elephants appear to give one another hugs with their trunks in greeting. Pets on Mom.me shares how they will caress one another with their trunks. Playing a game of fetch with a stranger, then, does not seem quite so unusual. The rock may have been a little small for batting around with its trunk, but tossing the rock back afforded the elephant a new friend and some fun.